Whether you opt for a high-tech system or take a more common-sense approach, our home security tips will help you achieve peace of mind, no matter what your budget. It wasn’t so long ago that when an intruder broke into a home, the home security system would sound an alarm. If it was a monitored system, the central station would call the police to report the intrusion. This assumes, of course, that you armed the system, the batteries were still good and the intruder wasn’t quick enough to disable the system before it sounded the alarm or dialed the central station. The revolution brought on by wireless technologies, smart phones, and mobile apps have changed all of that. Today, home security systems can still sound alarms, but are much more difficult to forget about or foil. A software-supported security system can send you a text message every time a door or window is opened, whether you’ve armed it or not. It can stream live video or send still images of what’s happening in your garage, living room, backyard or wherever you deploy a security camera. 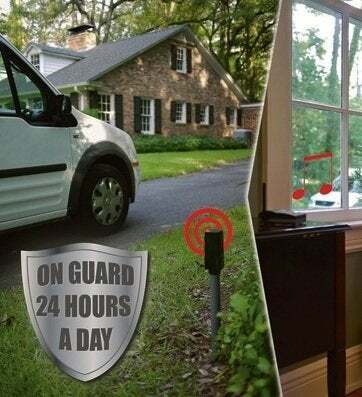 You can even be alerted before the break-in, the moment the burglar pulls into the driveway! And that’s not all. Home security has teamed up with home automation so the same interactive service can give your home the appearance that someone is home. Lights, TVs and radios can be turned on and off at random intervals, or according to the schedule you choose. Even motorized blinds can be raised or lowered upon your command. Home security systems can give you peace of mind in other ways, too. Whether you’re home or away, they can inform you of hazards like fire, elevated carbon monoxide levels, and power outages. They can alert you if someone is tampering with a safe, a locked tool chest, or a medicine or gun cabinet. You might even use it to check on the safe arrival of a child returning home from school. Or, if you lose sleep wondering whether the water heater is flooding your basement, you can have your system set up to alert you of that as well. With interactive systems come other benefits as well. Prefer not to hand out house keys to housekeepers, or other service providers? You can unlock a door for them from wherever you are, whether you’re at work or on a trip, with systems such as Kwikset’s SmartCode. You can also use the system to program your home’s temperature so you don’t waste energy heating or cooling your home unnecessarily. During cool seasons, it can automatically lower settings when you’re sleeping or away—and raise them just before you wake or return home. Smart systems consist of hardware that doesn’t look a lot different than it did twenty-five years ago. There are some specialized sensors and video cameras that weren’t common in the past and window and door contact switches have gotten a lot smaller, but the basics are the same: a control panel or console, magnetic contact switches, motion sensors, a siren. The new systems may also be connected to central monitoring stations, as do many old-style security systems. The big difference, however, is the degree of interactivity. New software platforms, such as alarm.com and iControl allow you to send commands, program home systems, view surveillance video, and receive alerts on a smart phone or computer—whether you’re at home or away. When shopping for a system, review software platforms first. Alarm.com and iControl are the two biggest. The former has partnered with more than 2,500 dealers and the latter with ADT and Comcast. Among other things, you’ll have to decide between a “cellular primary” or “broadband primary” system. The former is a wireless connection to the monitoring station, making it immune to power outages or someone cutting a cable. It is limited, however, with regard to transmitting large quantities of video, so many cellular primary systems incorporate broadband for video. Broadband primary services, on the other hand, have cables running down the side of a house that can be cut, thereby disabling the system. Some services offer cellular back-up should this occur. Be sure to choose a reputable dealer; one that will sell you the equipment as well as a monitoring plan. Many dealers will install the system for you, but there are others that sell equipment and services for the do-it-yourselfer. Frontpoint Security, a national provider based in Virginia, for example, offers a GE-branded system, the Simon XT, that can easily be installed by the homeowner (along with alarm.com features, and a third party monitoring plan). Installing the system yourself can save you several hundred dollars and make you more knowledgeable about how it works. Smart home security systems do not restrict the type of security hardware you use, although a dealer may limit your choices. The inside-the-house components may connect by wire (known as hardwired) or via radio frequency (wireless) or RF radiation. While hardwired components were considered the standard because they are more difficult to disable and don’t rely on batteries for power, the reliability gap has narrowed—or even disappeared—with new technology. Alarm.com and its partners, for example, offer “smash and bash” protection for wireless home security systems. As soon as a point of entry is breached, the central station is immediately sent a pending alarm signal. It doesn’t wait to find out if the person who entered is you or a bad guy. If the system is not disarmed within the programmed amount of time, the alarm is treated as an intrusion. In this way, a smashed controller won’t stop the central station from calling the police. 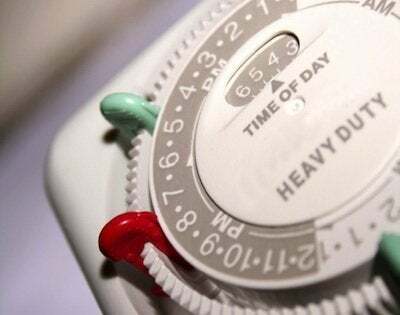 A conventional system, on the other hand, does not send a signal for a period of time (typically 30 seconds while it allows time the homeowner to tap in a code and then more time for the dialer to call the monitoring station). It doesn’t sound like much time but for a smart burglar, it can be enough to disable the security system or to grab a purse or valuable and run. Wireless hardware is, of course, much easier to install than wired components, making it more appealing to do-it-yourself homeowners. You can also take it with you should you move. Look for a home security system with a full line of wireless peripherals, including modules for controlling lights and appliances, thermostats, cameras, motion sensors (some can distinguish between a pet and a person), water sensors, and glass break and vibration sensors. Look for long-life battery power, too. Lithium sensor batteries, for example, can last three to five years. When they do run low, the system lets you know well in advance. Choose a controller with back-up battery so the system will stay active in the event of a power outage or if the Internet is down. If you will be installing smoke alarms you’ll need the extra power of a 24-hour battery back-up, not the 4-hour back-up offered by many manufacturers. Smart systems all require a subscription to a third-party alarm monitoring service. Ask about which central station will be handling your account and be sure that it is UL certified. There are two costs to keep in mind when shopping for a home security system. The first is for the equipment and the installation, if you’re having it done by a professional. It can run from a few hundred dollars for a basic installation (or less that half of that if you install it yourself) to north of $1000 for a full-feature system with specialized sensors and wireless smoke and CO detectors. The second is the monthly service charge that includes fees for software-driven features and central station monitoring. It typically ranges between $35 and $60 per month. Some dealers, much like mobile phone and cable TV companies, will reduce the installation cost in return for a multi-year contract. Burglaries have been dropping steadily for 20 years in the US according to the FBI, but that’s small consolation to the roughly 2 million victims of break-ins every year. To avoid becoming part of this statistic, there are a number of things you can do to make your home less vulnerable to theft. They begin with relatively low-cost improvements and common-sense practices. This is where to make your initial investment in home security. 2. Upgrade locks on all doors and windows—and use them! 3. Put interior lights, TV and radio on timers so you can create the illusion that someone is home when you’re out. 4. Install motion-controlled or infrared-controlled outdoor lighting. There is nothing more suspicious than a porch light left on from dusk to dawn over a long period of time. 5. Prune or replace large foundation plantings so intruders cannot hide behind shrubs while prying open a window or door. Low thorny bushes are also a deterrent. 6. Form or join a block watch group. Such groups are effective crime deterrents because they encourage residents to be vigilant and to call the police whenever they see something amiss. They also exchange information about crime in your neighborhood and work with police to improve response times. 7. Don’t forget about garages and sheds. Always keep garage doors closed, even while at home, so thieves are not able to spot items they may want to steal. Lock valuable items, such as expensive bicycles and grills, to a very heavy object with a chain and pad lock. Drill holes in garage door tracks and insert a padlock or bolt, to prevent the door from being forced open. Install a hasp and padlock on shed doors. 8. Change the greeting on your answering machine so it doesn’t indicate whether you are away or not. Never leave a note on the door indicating you are away. 9. Keep car doors locked and windows closed. Never leave valuables, especially electronics or money, in the car. Or, if you must, put them out of sight. Use a locking device on your steering wheel in high-crime areas. 10. When engaged in a home improvement project, do not leave ladders in sight. They are an invitation to burglars. Similarly, don’t leave tools lying about that might be useful to an intruder, such as hammer or pry bar.